Nations Press feature news BREAKING: Inaugural Speech of Pres.Duterte-MUST READ! 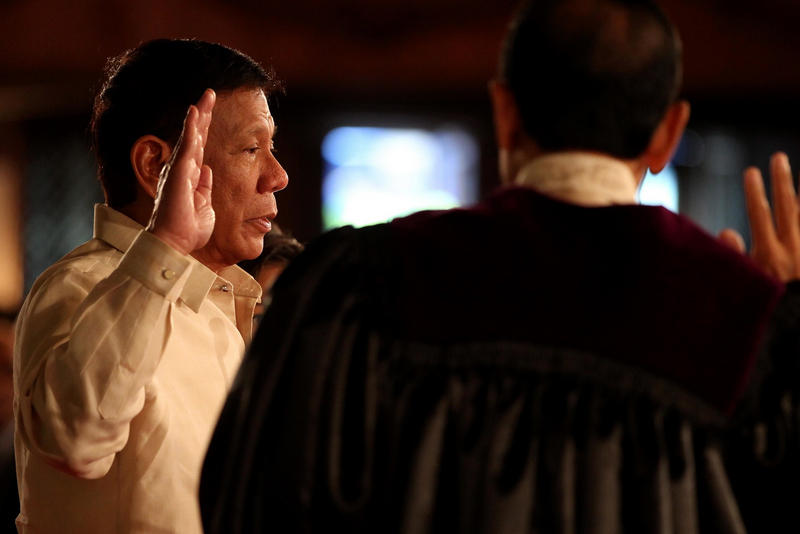 BREAKING: Inaugural Speech of Pres.Duterte-MUST READ! SPONSORED LINKS Here is the full text of the speech provided by the president's news desk. There are many amongst us who advance the assessment that the problems that bedevil our country today which need to be addressed with urgency, are corruption, both in the high and low echelons of government, criminality in the streets, and the rampant sale of illegal drugs in all strata of Philippine society and the breakdown of law and order. True, but not absolutely so. For I see these ills as mere symptoms of a virulent social disease that creeps and cuts into the moral fiber of Philippine society. I sense a problem deeper and more serious than any of those mentioned or all of them put together. But of course, it is not to say that we will ignore them because they have to be stopped by all means that the law allows. Love of country, subordination of personal interests to the common good, concern and care for the helpless and the impoverished – these are among the lost and faded values that we seek to recover and revitalize as we commence our journey towards a better Philippines. [applause] The ride will be rough. But come and join me just the same. Together, shoulder to shoulder, let us take the first wobbly steps in this quest. I abhor secrecy and instead advocate transparency [applause] in all government contracts, projects and business transactions from submission of proposals to negotiation to perfection and finally, to consummation.